- Ladies plan : ¥ 4.104 / person. - Men plan : ¥ 3.024 / person. Both of the plans include the rent of the yukata and all of the yukata' contents : the Japanese belt ( Obi ), the authentic and unique bag and the traditional Japanese shoes. 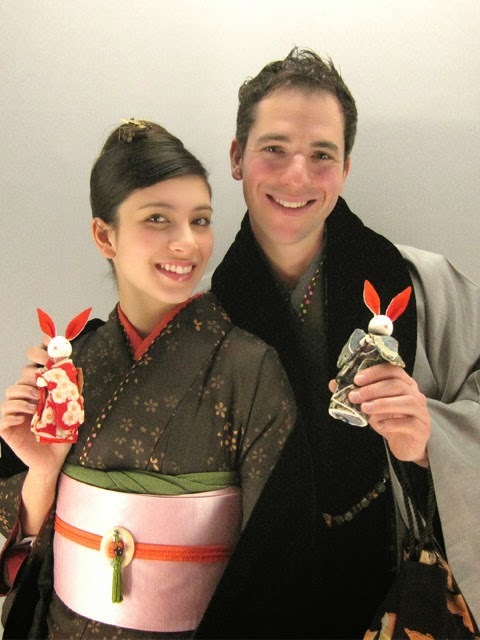 The shop recommends our guests to try our personal Yukata's hair styling for only ¥540/ person ! Also we are making some authentic hair accessories in the shop and you can rent it for only ¥324/ piece ! See you soon and please come to have a look ! Hi, do you have new yakata for sale and include dressing up? Will you be putting up designs of the yukata on your blog?